If you play Blackjack online, you’ll know just how hard it is to find a casino that offers you a bonus that you can actually use to play the game with. Most will quite openly say that bonuses can only be used on Slots. Others will say they welcome Blackjack players, then make the wagering ridiculously high by saying that it only contributes 10% towards the wagering – so, for example, if the basic wagering is 30x the deposit and bonus, Blackjack players have to wager 300x! These figures are very carefully calculated so, as you can guess, the number of times you have to wager is designed to bring you firmly into the level where the House Edge is back in the casino’s favour. In other words, you’re unlikely to walk away with anything. How refreshing, then, to find a casino that a) allows Blackjack players to claim a bonus and b) doesn’t penalise them with ridiculous wagering requirements and/or a low contributory percentage. Gala casino are currently offering Blackjack players a 50% match on their first deposit up to a maximum bonus of £100 (i.e. deposit £200, play with £300). BUT the wagering is just 30x – low by any standard, but remarkably low for Blackjack! Not only that, you can also claim a 50% bonus up to £100 on your second and third deposits, with the same low wagering requirement. So in total you could claim £400 in Blackjack bonuses, and be free to enjoy them on the game, without being made to feel like you’re somehow abusing the system because you don’t like the mindless repetition of Slots! And, if it takes your fancy, they’re also offering a similar bonus for Roulette. We’re big Blackjack fans here at Fortune Palace and are constantly adding resources to our Blackjack portfolio. For examples, we’ve recently added a Blackjack variations page that describes most popular alternative versions of the game, with am explanation of the side bets available. We’ve also re-vamped the free-play Blackjack page to give you 12 new versions of the game to choose and play – all free, with no download and no deposit required. And we’re currently working on a Blackjack Switch calculator which we’ll be releasing in the near future, ao watch this space…! Choose from the Blackjack pages below and refresh your knowledge of our favourite game! 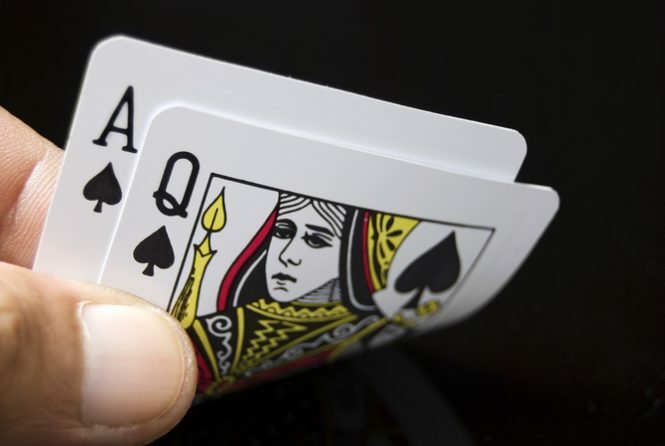 How to win at Blackjack – and why most players don’t!